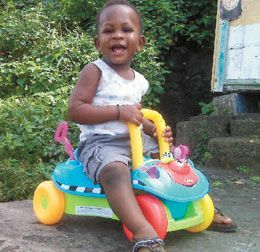 Belated birthday greetings to a precious prince, Jomar Francis, of Kingstown Hill, who celebrated his 1st birthday on Wednesday, February 2nd. Greetings from his entire family circle, especially his mother Keniesha and his father Jomo, and grandparents. We love you a million.